Make Fewer Short Trips – Short trips (under 10 minutes) are particularly hard on your car. In order to run efficiently, your engine must reach its full operating temperature. If it doesn't reach this temperature, it can result in excessive wear and tear on your car. If possible, find alternative modes of transportation for short trips—walk, bike, take the bus. If you can’t avoid driving your car short distances, get your oil changed more frequently. Drive Carefully – It’s no secret that by accelerating slowly, braking gently, and not revving your engine when it’s cold, you can spare your car a lot of unnecessary wear. If it’s cold outside, allow your engine to warm up for a minute before driving, so that your engine oil can start lubricating all the components. Watch for Engine Warning Signs – Listen to your car. If warning lights come on, don’t dismiss them—especially the engine oil light, the engine temperature gauge, and the brake light. Driving for a few minutes with an overheated engine or low oil pressure can turn into a very expensive trip to the mechanic. Unload Extra Weight – Extra weight in your car adds stress to your car’s engine, suspension, and brakes - resulting in unnecessary wear. In addition to clearing out your car, consider removing anything on the exterior that could be causing additional drag. If you’re not using the bike rack or the luggage carrier, take them off. They’re only lowering your gas mileage and making your engine work harder. Perform Regular Maintenance – We can’t stress the importance of regular maintenance enough. It’s one of the most important things you can do for your car, and it’s critical for achieving automotive longevity. 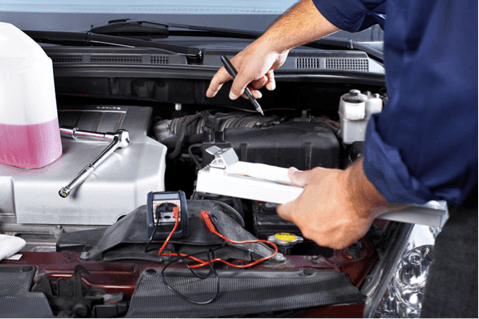 Maintenance ensures that all of the systems in your car are running as efficiently as possible. It also gives us, your mechanics, a chance to spot problems before they expand into something serious. If you’re worried about cost, consider that the cost of maintenance will save you a lot more in the long run than buying a car every few years. Change your oil! Changing your oil and other vital fluids is part of regular maintenance, but it is so important that it deserves a separate mention. Even if your car just sits in the driveway, its fluids will degrade over time. If you’re serious about keeping your car for the long run, have the transmission, differential, brake and power-steering fluid, oil, and antifreeze changed regularly. Get Problems Checked Out Sooner Rather Than Later - If you notice a small problem with your car, get it checked out while it’s still a small problem. Don’t wait to see if it turns into something worse. Keep it Clean – No matter how careful you are with your car, it gets exposed to a lot of damage throughout the year. Washing your car regularly will remove harmful elements from your car’s paint and will allow you to inspect for nicks, scratches, and dents. It’s important to get these fixed to prevent rust. Of course, if you really want to keep it for a long time, consider driving it less. Get out and walk, ride your bike, take the bus or find a carpool. We hope these tips will lead to a long and healthy life for your car. As always, we’re here to help you with any of your car’s maintenance needs. If you have any questions or need maintenance, feel free to give us a call or schedule an appointment online.